With an olive story starting in 1780, Castillo de Canena is an unique company, involved in the whole process of the extra virgin olive oils (EVOO) creation, effort has been rewarded with the most prestigious awards in international competitions and its presence in the best restaurants in the world. 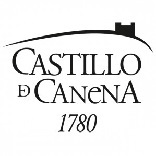 Castillo de Canena is a consolidated group and leader in the premium EVOO sector with recognized prestige and global leadership. Aware of the importance of its raw material, the olives, the company has launched an ambitious project of SMART Agriculture to improve the knowledge of its 1,500 has to enable an objective selection of grades for each of its product lines, with particular emphasis on the oleo-healthy concept.